Video Games developed by Sumo Digital, Ltd.
Dead Space IgnitionOct 13, 2010Dead Space Ignition is a downloadable game that takes place on the Sprawl and challenges players to survive the initial necromorph outbreak. Gamers who pre-order Dead Space 2 receive "Dead Space Ignition" for FREE. Combining co..
Forza Horizon 2September 30, 2014Motor on to the boundaries of racing with the real-world racing game Forza Horizon 2. ..
NIKE+ Kinect TrainingOct 30, 2012 (US)Whatever your level, whatever your goal, with Nike+ Kinect Training you can now experience personal training, at home. Using real time feedback and elite level coaching, Nike+ Kinect Training delivers a personalized program that evolves as you do. ..
Sonic & Sega All-Stars RacingFeb 23, 2010Sonic & Sega All-Stars Racing is a kart racing game featuring characters from the Sonic series as well as Samba De Amigo and Super Monkey Ball. Join Sonic and friends in a frantic battle race to the chequered flag. 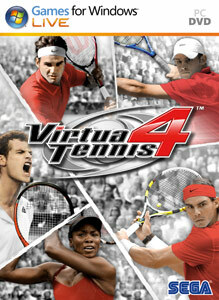 Select from your favourite..
Virtua Tennis 4 (PC)Jun 1, 2010Virtua Tennis 4 Games for Windows Version. The No.1 selling tennis series is back in time for the Grand Slam season with an all-star line-up of the world's top stars including Nadal, Federer, Murray, Djokovic, Del Potro, Sharapova, Williams and ..
Earth is under attack by massive creatures from outer space. Now you can save Earth with a huge arsenal of heavy-power artillery at your disposal. Climb into your fighter jet and wage fierce battles a..